Home / News / Kids Take Over the Courthouse! April 26th is Take Your Kids to Work Day so Intellectual Property Attorney, Kimberly Fisher, and her daughter, McKinley, headed to court! 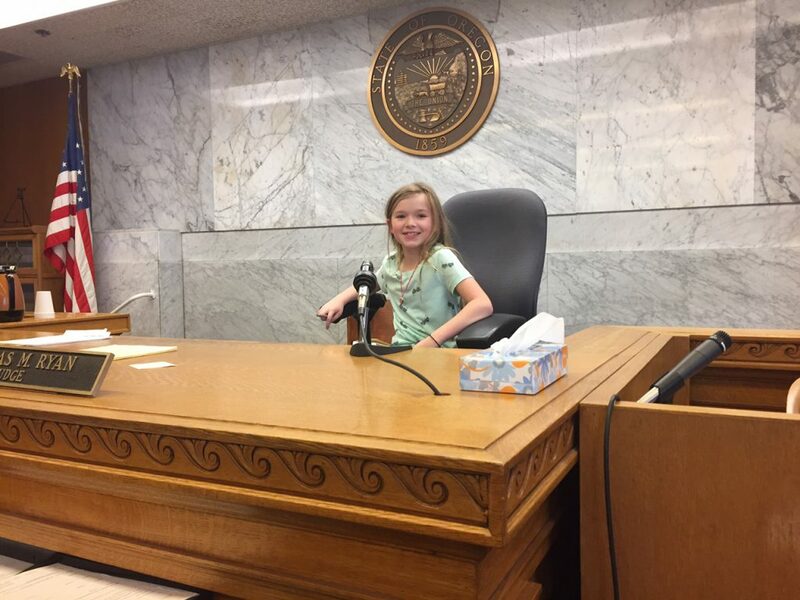 Kids ages five and up learned about the court system, met lawyers and judges, and participated in mock trials. Thanks to Oregon Women Lawyers and the Multnomah County Circuit Court Judges for putting on this great free event!